Posted October 27th, 2014 - News Posted for ISA News. 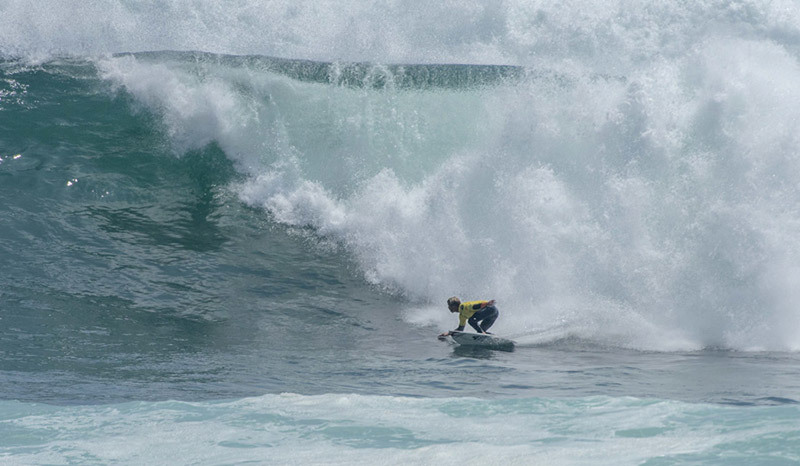 The incredible waves of Punta Rocas, Peru continued to provide an excellent opportunity for the world’s best surfers from the 22 National Teams to perform at the highest level of competition. Day 2 of the Claro ISA 50th Anniversary World Surfing Games was another action-packed day with plenty of swell in the water. Though the SSW swell that provided double-overhead surf on Saturday slightly dropped, the easing surf remained well overhead with long walls of over 150 yards long. In the first heat of the day, it was a history making moment for the ISA, with the first time a surfer from the United Arab Emirates, to compete at an ISA World Championship. 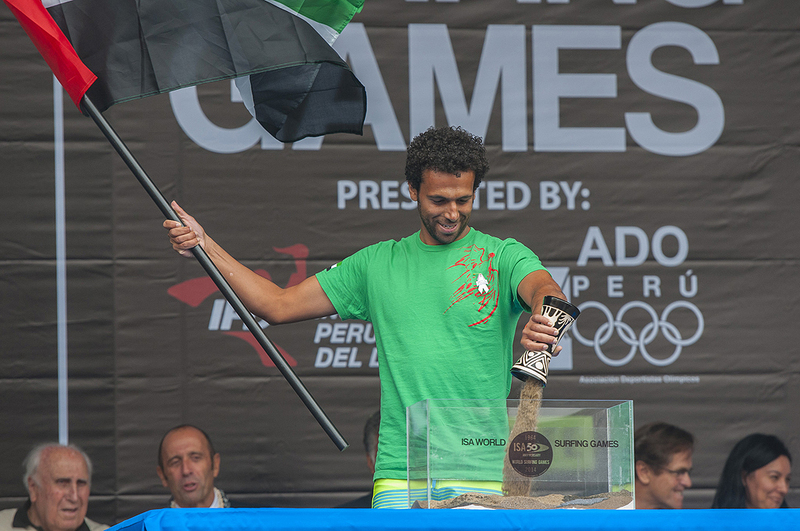 The Dubai native, Mohammad Rahma, learned to surf just a few years ago at the Wadi Adventures Wave Pool in Abu Dhabi. Rahma got injured playing for the Rugby National Team and during his rehabilitation process, would run on the beach where he first encountered surfers. He decided to give it a try and fell in love with the sport. South Africa´s Michael February achieved the highest total heat score of the day in a very close heat against Argentina’s Leandro “Lele” Usuna. February sealed the victory in his first two waves with a 7.00 and 9.13, for a total of 16.13, followed by Usuna’s 7.83 and 6.50, for a total of 14.33. 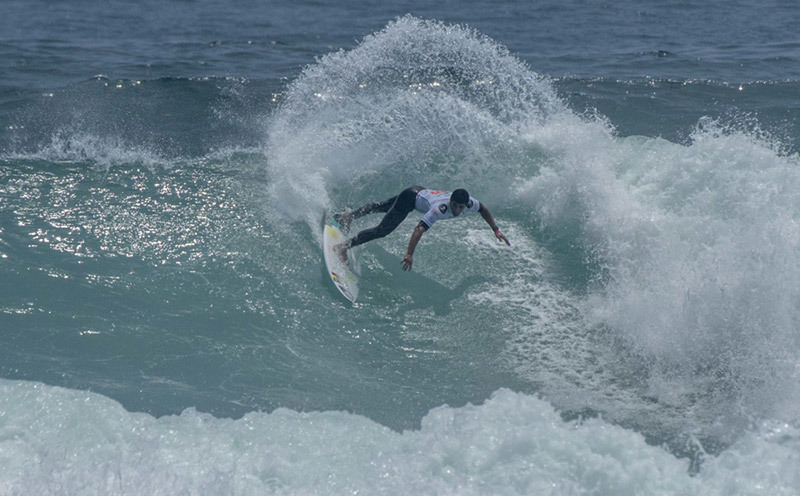 Both surfers defeated Ecuador’s Sebastian Santos (9.24) and Carlos Goncalvez (7.14). Another notable performer was Argentina’s Santiago Muniz, who dominated his heat earing a 15.50 score, and is looking to reclaim the Gold Medal he won at the 2011 ISA World Surfing Games. 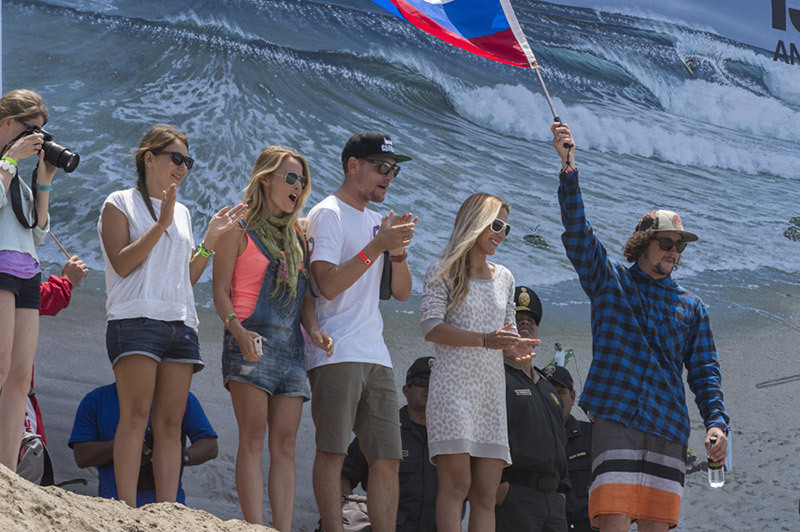 Team Peru is defending their home court well, with all four surfers advancing to Round 3 of the Main Event. Cristobal de Col (12.17), Gabriel Villaran (13.23), Joaquin del Castillo (11.5), and Sebastian Alarcon (15.1), will be looking to do their part to repeat the 2010 ISA World Surfing Games Team Gold Medal. The Claro ISA 50th Anniversary World Surfing Games resumes tomorrow at 7:40am with The Morning Show hosted by Mike Latronic with Guest Mohammad Rahma from United Arab Emirates.